1. Magnification – for moving subjects, select a variable power riflescope and choose a fixed power riflescope if object being targeted is stationary. 2. Objective diameter – for clearer view and longer hunting hours, choose a larger diameter since it allows more light to pass through. 3. Recticle – an alternative aiming device instead of crosshairs. 4. Eye relief – pick a riflescope that has an eye relief. Assure that the eye relief that you choose is suitable with your rifle’s type and model. 5. Field of View – your riflescope must have this feature. This is specifically critical in range shooting. 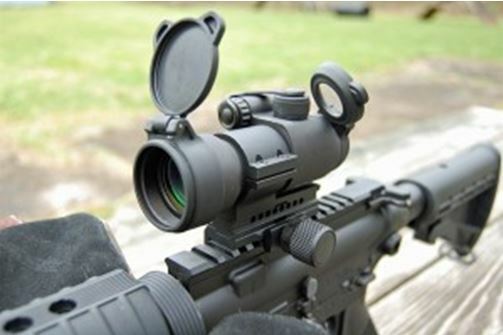 It is best to choose a rifle scope that provides wide range. 6. Parallax Adjustable/Adjustable Objective – it is an excellent feature in a riflescope if looking to go for range shooting. Which brand is a perfect match for you? Undoubtedly, decide on a brand that is trusted in high end hunting optics. There are several trusted brands to choose from that has strong reputations in the field. Bear in mind that you always get what you pay for. Google for riflescopes, read rifle scope reviews, ask you co-hunters about the best scope for ar 15. A brand that you might want to take a look at is the Leupold. Many serious hunters used Leupold scopes because of its exceptional features. The Leupold VX-7 is the latest product of Leupold. This Leupold VX-7 has a number of brilliant features. One that I considered the best is the fast-focus eyepiece. I am always stimulated to get my rifle on my shoulder and aim in that instant the big buck emerge from nowhere. The ballistic aiming system that permits you to immediately choose the magnification to custom matches the reticle to the projectile matches with that of its power ring. Of course, you can’t fire when you can’t see. However, this scope is not cheap at all. It is more than $1000 which can be a drawback for you as it is with me. Although, whichever brand and model you decide to take on, make sure that the riflescope has a brilliant optics, reliability, preciseness and durability. You should make sure that your rifle can withstand any of the harshest conditions possible. Choose wisely in which is right for you, having the features that is necessary and within your means.